Orbea Enduro Team: We’re all back together again at the EWS in France! The mountains of Caroux will host the next stage - the third race in the world’s greatest enduro competition. 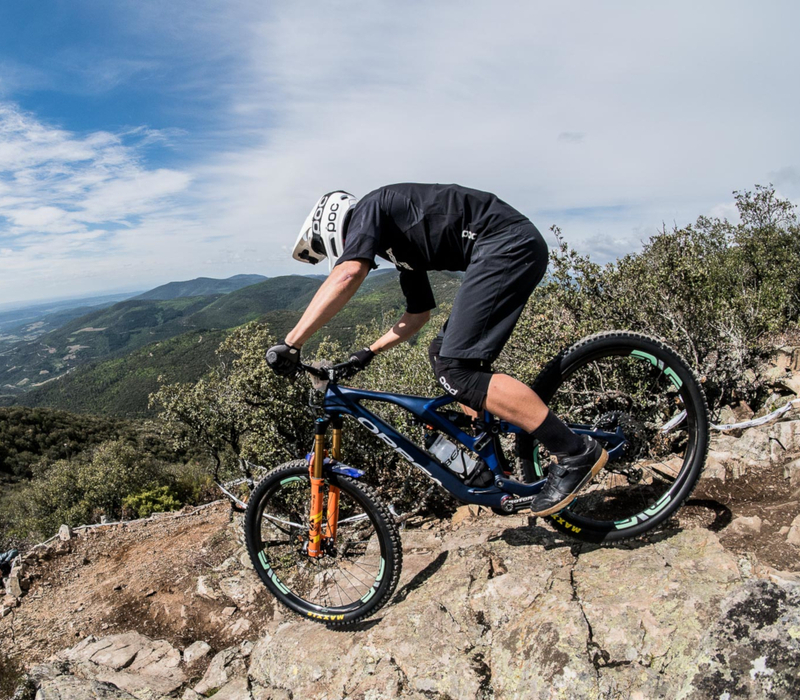 An unprecedented date on the Enduro World Series calendar, which the Orbea Enduro Team will also attend with the debut of rider Thomas Lapeyrie. The French biker will compete for the first time in the EWS on May 12-13 after overcoming the physical problems that he suffered during the preparation for the first race in the competition. Thomas is more than prepared to tackle the third round of the world’s greatest enduro competition after an intensive recovery programme. Gym, yoga, hypnosis and even ebike sessions with the Wild FS that literally “saved him” during the “worst period of his life” before hopping back on his Rallon. Thomas says that the ebike is the “perfect machine for training,” since it lets you make several passes at the same downhill stretch. In fact, it has become part of his daily training routine. All the work the French biker has done at home has been focused on his return to the world’s greatest enduro competition, where he wants to show what he’s made of on the vast network of rocky paths “Made in France” around the medieval town of Olargues, another debut on the EWS calendar in 2018. This area, considered one of the most beautiful in all of France, will put the Orbea Enduro Team to the test from day one of the competition, covering 45 km, with 1000m of positive elevation and 1470m negative elevation, followed by a second race day with 36 km, a 1576 m climb and savage descent of almost 2200 meters. Altogether, the event covers 81 km with more than 2576 meters of climbing and more than 3,600 meters of descent. And of course, he’ll be accompanied by the rest of the Orbea Enduro Team, formed by Becky Cook, Gabriel Torralba and Javier San Román, who will try to improve on their results based on what they’ve learned in the team's first two competitions, in Chile and Colombia, also available at The team’s new website. And of course, he’ll be accompanied by the rest of the Orbea Enduro Team, formed by Becky Cook, Gabriel Torralba and Javier San Román, who will try to improve on their results based on what they’ve learned in the team's first two competitions, in Chile and Colombia., also available at The team’s new website. In addition to our Orbea Enduro Team, our ambassadors Tomi Misser and the young Welsh biker Cai Grocott will also take part in the third round of the enduro competition. The difficulty of the route and the extremely tough weather conditions of the first two races have been the most important aspects for the rest of the Orbea Enduro Team, but the team is anxious to participate in this new edition of the top international enduro competition. “I’m really eager for this race,” says very young rider Javier San Román. 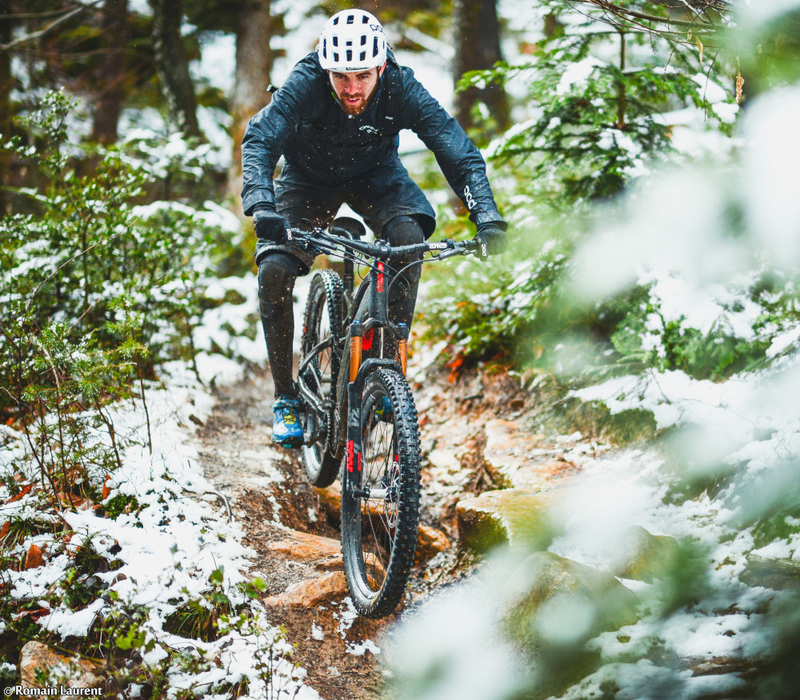 “I think the terrain is a little more similar to where I usually ride,” he said. It is not surprising that the goal of the team’s youngest rider is to improve on his great 6th place finish in Colombia in the sub-23 category. In the words of Becky Cook, after her impressive finish in the women’s world top 10 in the first two competitions: “I hope to improve,” she says. Gabriel Torralba, in turn, has been “training hard,” even in races like the recent Orbea Monegros to continue “on the right track” and achieve satisfactory results for himself and for the team. To tackle the objectives of this third race in the EWS, our bikers will once again have the best material to take on top-level enduro competition: Fox, ENVE, POC, Rotor, Maxxis, Galfer, CrankBrothers, Selle Italia, Vaude, Morgan Blue, One Up, Slicy y Clif Bar. You can keep up on all the news from the third race in the EWS on the social networks of the Orbea Enduro Team (Instagram y Facebook), and orbea.com.